A history of underlying lung disease provides important clues to the underlying cause of hemoptysis. An abrupt onset of cough with bloody purulent sputum, with or without fever, may indicate acute pneumonia or bronchitis. 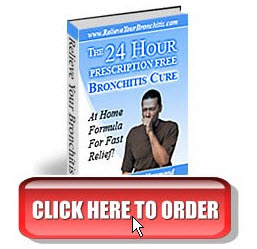 A chronic productive cough may reflect chronic bronchitis or bronchiectasis. Although typically seen with tuberculosis, fevers, night sweats, and weight loss may represent other infections. Anorexia, weight loss, and change in cough may reflect bronchogenic carcinoma. While some tumors present with new-onset cough and hemoptysis, 80 percent of neoplastically caused hemoptysis had duration of greater than 1 week. Smoking, male gender, and age over 40 are the predominant risk factors for neoplasm. Alveolar hemorrhage syndromes from vasculitis present with dyspnea and mild hemoptysis associated with renal disease and hematuria. As noted earlier, hemoptysis is an insensitive marker for pulmonary embolism and the symptom of hemoptysis is usually overshadowed by anxiety, dyspnea, and chest pain. The physical examination is useful in determining the severity of hemoptysis, but is unreliable in localizing the site of bleeding. Fever usually suggests an infectious cause. Tachypnea may reflect respiratory compromise with hypoxemia due to the interference of intrapulmonary blood with gas exchange or from underlying lung disease with altered ventilation-perfusion relationships. Blood pressure is usually not changed, except in massive hemoptysis. The nasal cavity and oropharynx should be carefully examined for extrapulmonary causes of hemoptysis (termed pseudohemoptysis) as well as signs of extrapulmonary vasculitis. The cardiac examination may reveal the diastolic murmur of mitral stenosis. The pulmonary examination may reveal fine inspiratory rales associated with alveolar blood or inspiratory and expiratory rhonchi associated with airway secretions and blood. 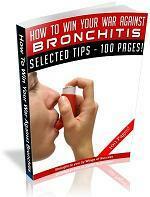 There may be wheezing from bronchial narrowing. Digital clubbing suggests chronic lung disease. Supraclavicular adenopathy and muscle wasting suggest neoplasia. The laboratory evaluation should be guided by clinical indications. For example, a healthy young person who presents with an acute cough and streaky hemoptysis does not require routine laboratory testing. A complete blood count should be obtained and serum electrolytes, blood urea nitrogen, creatinine, and glucose measured in patients with massive hemoptysis and in the setting of chronic illnesses. Coagulation studies are indicated in patients with liver disease or using anticoagulants. Arterial blood gas analysis should be performed on patients with respiratory distress or altered mental status. Bacterial sputum cultures are indicated with clinical or radiographic evidence of pneumonia. Mycobacterial sputum cultures are indicated with fever, weight loss, night sweating, and cavitary lung masses. It is generally agreed that all patients with true hemoptysis require radiographic imaging, starting with a chest x-ray, for evaluation. Up to 90 percent of individuals with neoplasm as a cause of hemoptysis have abnormal chest x-rays. However, 20 to 30 percent of patients presenting with hemoptysis have a normal chest radiograph, and details of further workup of these patients remains controversial.2 No definitive diagnosis is reached in up to 90 percent of patients who have normal chest x-rays. Conversely, hemoptysis with a normal chest radiograph carries a small (less than 5 percent) risk of neoplasm. Chest computed tomography (CT) is felt to have a greater sensitivity than plain radiography in detecting carcinoma or bronchiectasis. 2 Bronchoscopy or laparoscopic biopsy may also be needed. Fiberoptic bronchoscopy and chest CT have complementary roles. Close consultation with the follow-up physician is important to coordinate the timing of these evaluations. Bronchoscopic evaluation continues to have a pivotal role in the evaluation of ongoing hemoptysis. Patients who are unstable with airway problems or have massive hemoptysis generally require rigid bronchoscopy to evacuate clots and determine the source of bleeding ( Fig 63-1). FIG. 63-1. 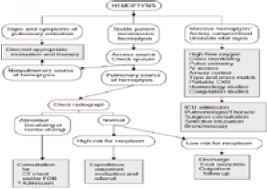 Evaluation of hemoptysis. * Massive, >50 mL per single expectoration. t Age >40, smoker, male gender, and weight loss (two or more risk factors). FOB = fiberoptic bronchoscopy.